Sandals resorts are famous for catering to couples in some of the most romantic resorts available. With sparkling pools, sandy beaches, breathtaking ocean views, and unparalleled service it’s not surprising that so many couples choose Sandals for their special celebration. But, which Sandals resort should you choose? There are so many, and each one of them is spectacular. 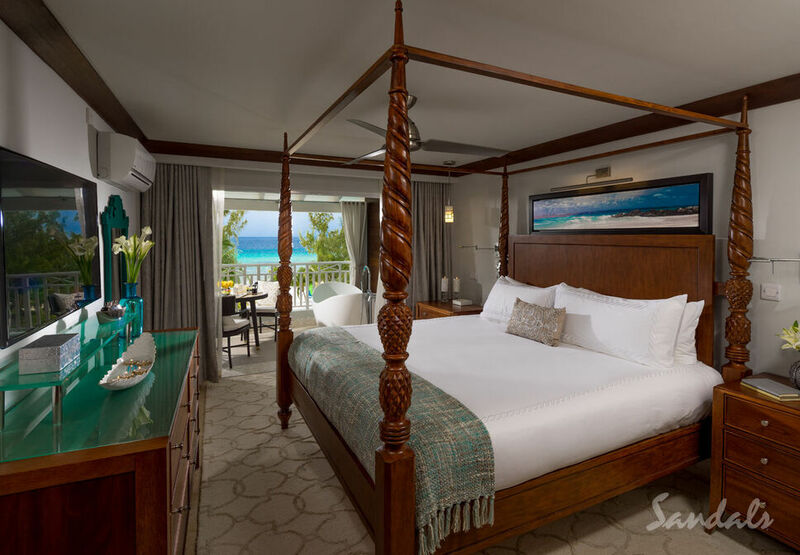 Below you’ll find a few outstanding reasons to choose Sandals Barbados as your destination for a romantic getaway, honeymoon, or wedding. While each and every one of the rooms at this resort is beautiful and romantic, with beach or garden views, the Butler Suites are almost unreal. Celebrate your love together in your private suite that’s set along the longest river pool in Barbados. Take in the beautiful view on your private patio while you and your sweetie soak in your tranquility tub for two. Experience ultimate relaxation outside, while still enclosed in your own private space. Along with the luxurious soaking tub, your suite boasts of a spa-like bathroom that invites you to enjoy a duel controlled walk in shower. And everything else you could possibly want is right at your fingertips with butler service and 24-room service. 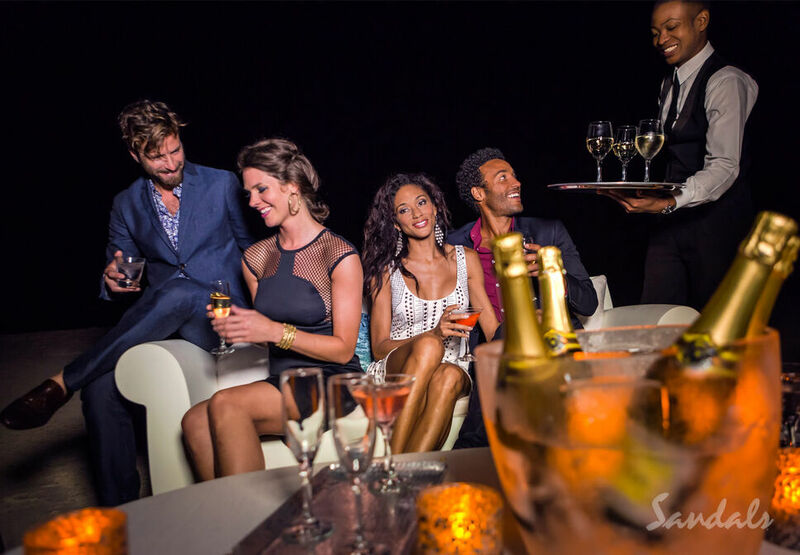 While there are plenty of seafood and Caribbean style restaurants located at the resort, you can take a trip within a trip when you visit any of these unique restaurants, all of which are included in your all-inclusive vacation. Yes, you’re in Barbados, but stepping through the arched French doors of Cafe de Paris will make you feel like you’ve been transported to France. Inhale the sweet aroma of freshly baked pastries, delicious espresso, cakes, and so much more. Decorated and designed to resemble the patisseries that you might see along the streets of Paris, you’ll get a taste of France without having to leave the resort. This cute cafe is open all day, so you can stop by for a morning crepe and a cup of coffee, then come back later for an amazing slice of cake after lunch. It’ll appear as though you’ve crossed the Atlantic once again when you walk into the Merry Monkey, a British style pub that’s as cozy as it is charming. Relax on the comfy chairs and enjoy an orange rum tart, venture into the billiards room for some games and a cold one, or watch the big game on one of their TV’s. Take part in a dining experience that will captivate your senses with exotic aromas, unique flavors, and vibrant colors. Dine at Bombay for breakfast or dinner. Indulge your taste buds on exquisite Indian cuisine as you surround yourself with shimmering silks, ornately patterned rugs, and baskets overflowing with spices that will delight your senses. Between live shows, staff talent night, chocolate buffet night, and Carnivale beach parties there’s no shortage of entertainment that you can be a part of. So, get out of your room and go out for the evening. The resort’s vibrant nightlife awaits. Get a little adventurous during your vacation, and indulge in some fun in the sun. Get out on the water and feel the unique thrill of riding on the ocean as you pedal together in your aquatrike. It’s unlike anything you’ve ever done before. Or, take part in the most loved water adventure; scuba diving. You’ll plunge beneath the beautiful waters and immerse yourself in the world beneath. Experience the wonder of most breathtaking reefs and colorful fish the ocean has to offer. 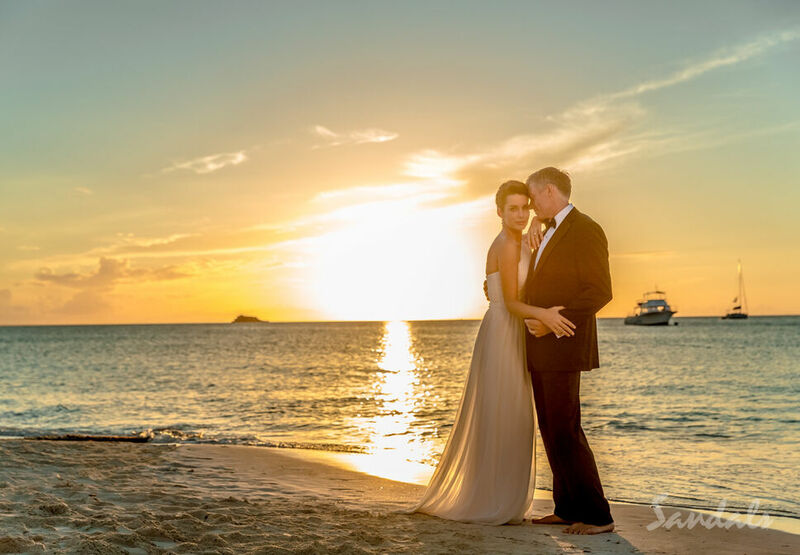 When you say “I do” at Sandals, you are given a FREE Beautiful Beginnings Wedding. That’s right, your wedding is included. And after you say “I do,” you can start your happily-ever-after right away by beginning your honeymoon at the same resort your wedding took place. No need to travel to two different locations when everything you want is right at your fingertips. If you choose another wedding package, then you can use the value of a Beautiful Beginnings Wedding towards the package you’ve selected instead. 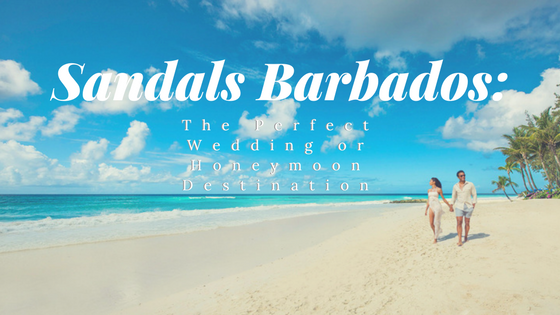 So, if you’re looking for the perfect place to “tie the knot” or celebrate your love on your honeymoon, then look no further than Sandals Barbados. 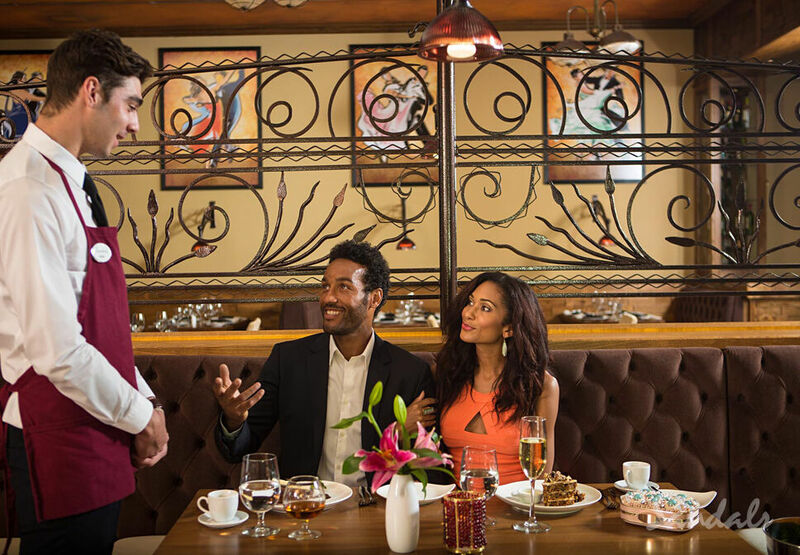 To experience the romance at Sandals Barbados, please contact us today.